It looks like Apple's iPad really is magical after all. 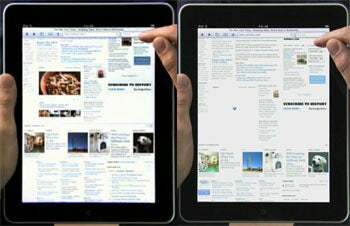 Marketing materials for the iPad mysteriously morphed overnight following complaints that they misleadingly depicted the device showing Flash-based content. As of Saturday morning, presto-change-o: The Flash is gone. The iPad Flash controversy started when Apple blog AppleInsider.com noticed that promotional images and even a video posted on Apple's Web site appeared to show Flash-based content being displayed on the iPad. The content included a photo gallery and other Flash-based material from The New York Times' Web site. While Apple has not explicitly said the iPad won't support Flash -- representatives did not respond to my requests for comment -- those same sections of the Times' Web site showed up as blank during Steve Jobs' demonstration of the iPad on Wednesday. Furthermore, Adobe has posted multiple blogs indicating concern for the lack of Flash support on the device. The controversy came to a head when a user submitted a formal complaint to the Federal Trade Commission on Friday. Paul Threatt, a graphic designer from Atlanta, said he felt the marketing materials were "willful false advertising." 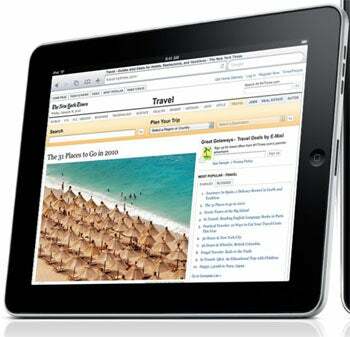 Fast-forward to this morning, and Apple's iPad materials have changed. The image posted as part of a rotating graphic on the company's home page has been removed, and the video on Apple's Web site now shows a broken Flash box in place of what had previously been live Flash content. You can see the original materials here. The original video, as of the time of this publication, is still preserved on YouTube; the section in question is just past the two-minute mark. JR Raphael is a PCWorld contributing editor and the co-founder of eSarcasm. He has his own theories as to how the iPad will change the world.